The Ola Executive Office Desks range was born following remarkable research work of aesthetic and functional solutions to create a modern, distinctive and prestigious desk design which is full of personality. Ola Executive Office Collection also includes Ola Meeting Tables (see Additional product options below) and is a Reddot Design Award winner. 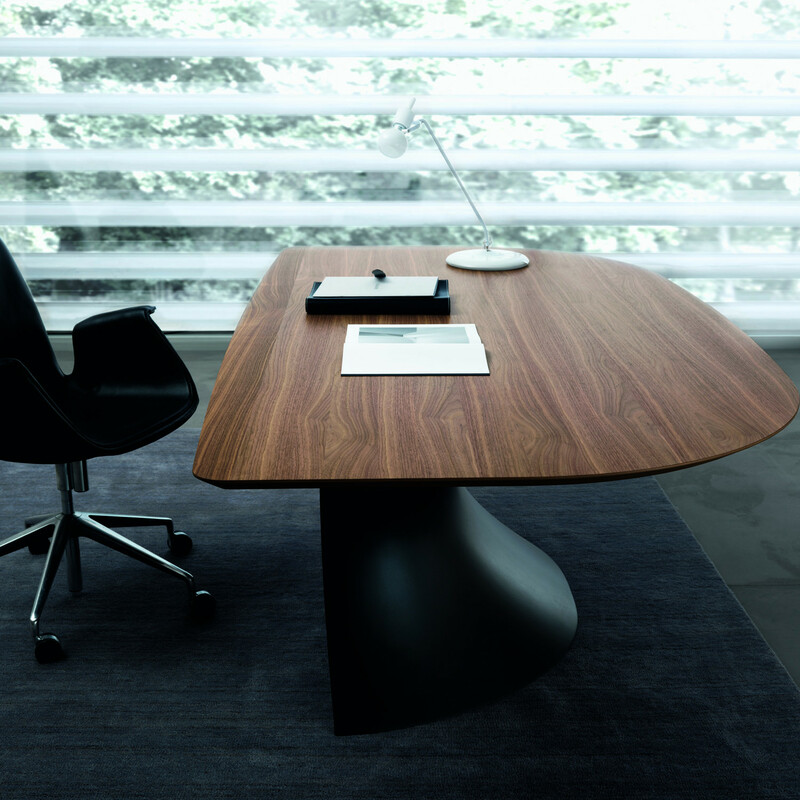 The shape of the Ola High Executive Desk, and the value of the materials used, creates a remarkable aesthetic which will create a good impression within any executive office environment. The distinctive shapes of Ola are organic and enhance the chiaroscuro approach, making it almost of sculptural value as a statement piece. 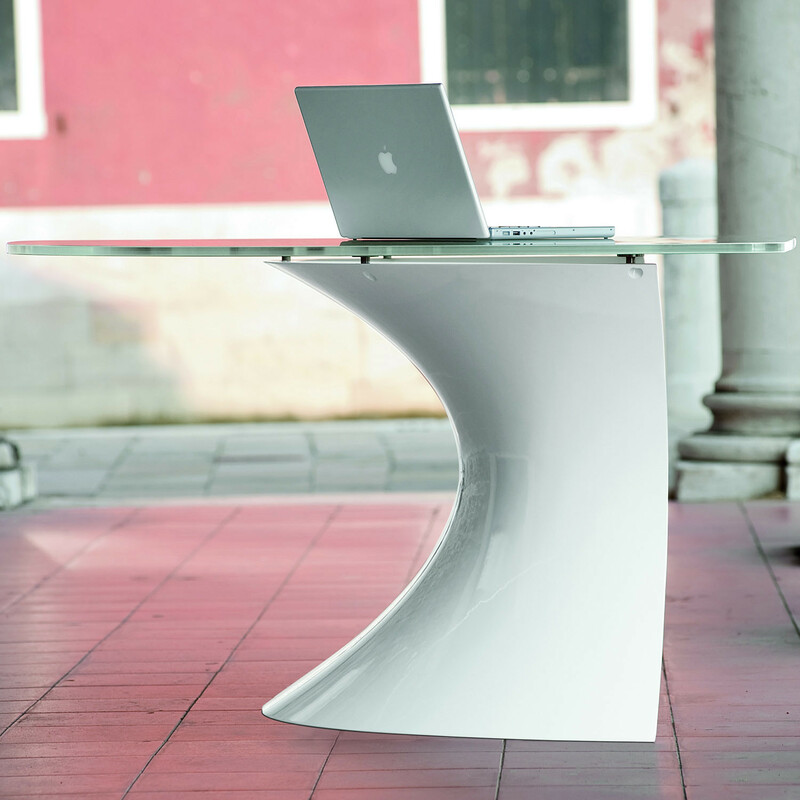 The forms of Ola Executive Office Desk are interpreted by two materials that originate from two completely different circles: Crystal comes to life from the bowels of the earth while Cristalplant takes shape from the most advanced of technological research. 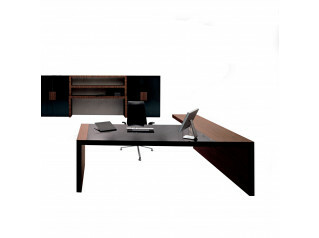 The match between these two values enhances the design of Ola Executive Office Desk. Available in various desktop finishes; choose from beautiful natural walnut to crystal, as well as a chromatic variety of matt or glossy lacquered finishes. 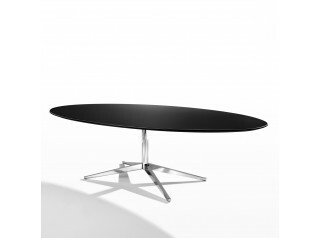 Table base finishes vary and include impressive high quality leather and lacquered glossy cristalplant. Ola serigraphy glass is a transparent top, 15mm thick, with black or white serigraphy printing. The top is fixed on the base with steel threaded nails. Dimensions (standard): Length 2200mm and Depth 1200mm. 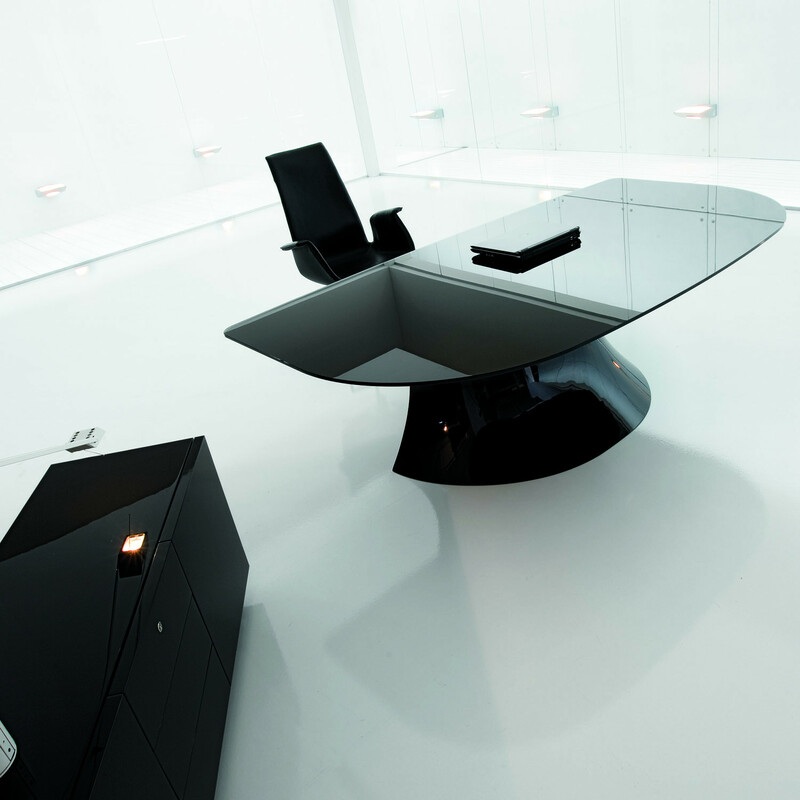 There is the possibility of customising the desk to suit your requirements, such as a bespoke table top design as well as various combinations of base and desk top. Please contact us to discuss your ideas so that we can turn them into a custom made reality. 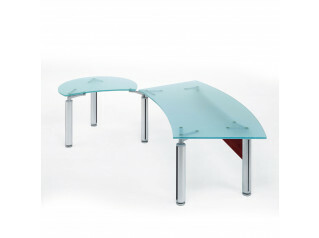 See other furniture products from Apres Furniture. 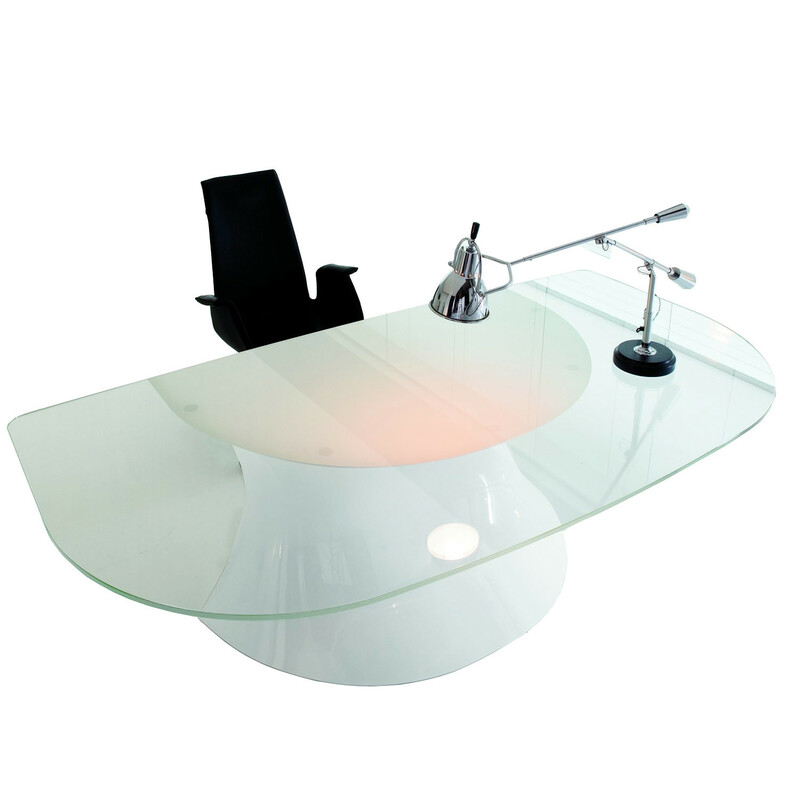 You are requesting a price for the "Ola Executive Office Desk"
To create a new project and add "Ola Executive Office Desk" to it please click the button below. 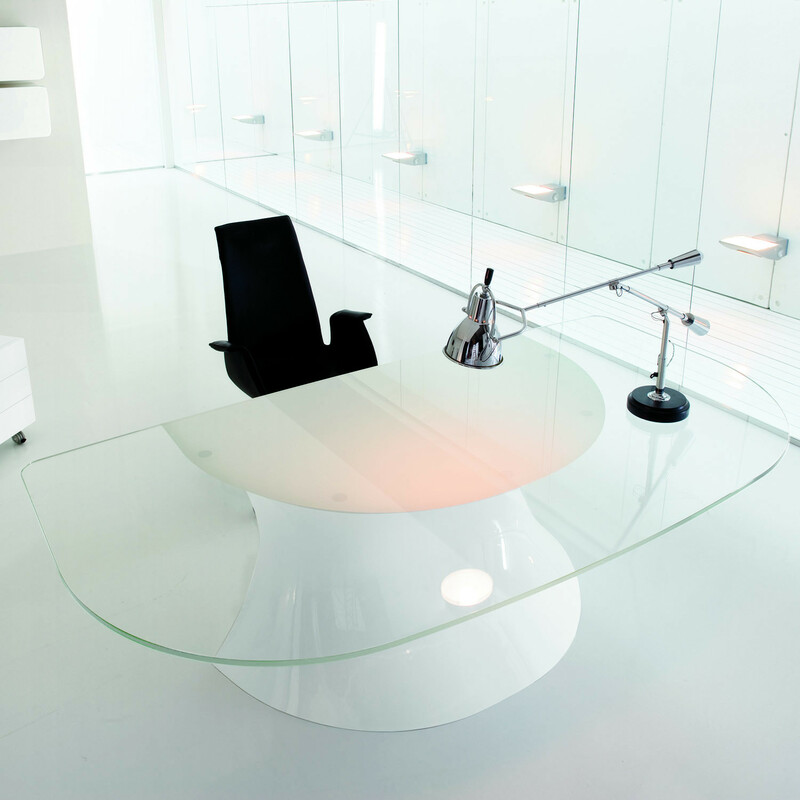 To add "Ola Executive Office Desk" to an existing project please select below.